There are now two options when choosing a Snakku box. 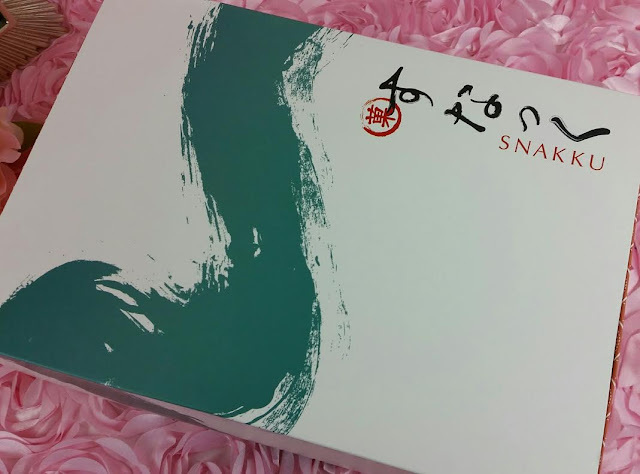 You can get the regular Snakku box with ten to fifteen of the best and most authentic Japanese snacks you can get or you can get the Tasting Box. The Tasting Box is smaller and has 5-7 tasty snacks in it. There's a box for every budget and I'm really happy about that. This review is for the regular Snakku box. Midori Nobunaga- These are mini gree tea cakes, made using local Mino green tea from Gifa by a 60 year old snack shop. Kinako Candy- These small, individually wrapped candies are made with brown sugar and soybean flour. 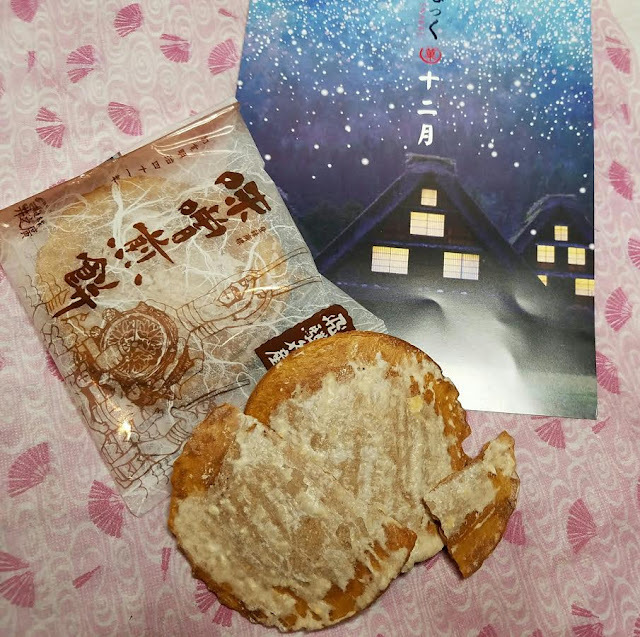 White Birch ChocoCrunch- Made in Nagano, this snack is made of wafers and chocolate and represents the birch tree forests found in the area. 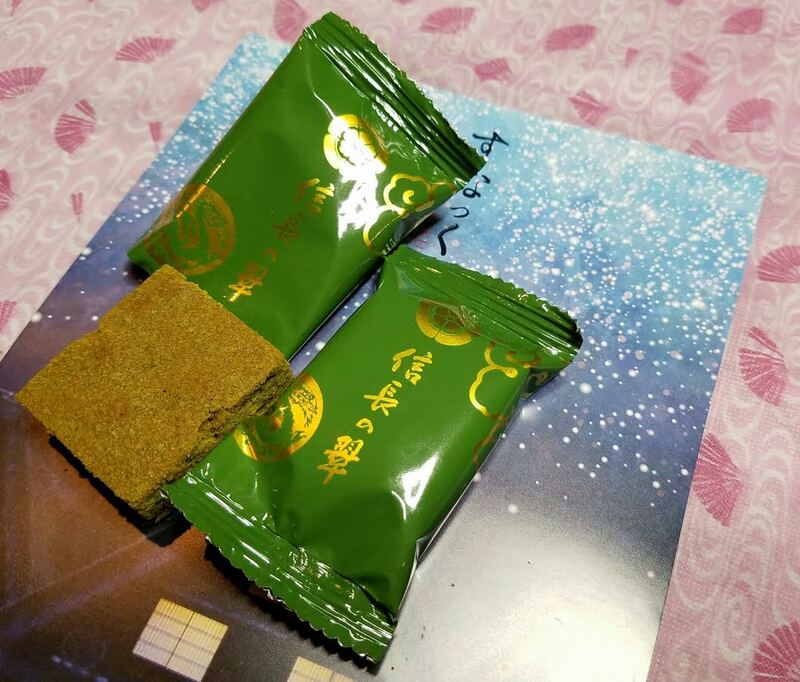 Natto Soybean Okaki- These are rice crackers wrapped in seaweed with fermented soybean. This is hard to see in the photo. I didn't realize it until my husband had eaten them already. But they're little cones of seaweed with crunchy bits. Miso Wheat and Miso Ginger- These are crackers made with rice and homemade miso then glazed with soy sauce and either ginger or sugar topping. 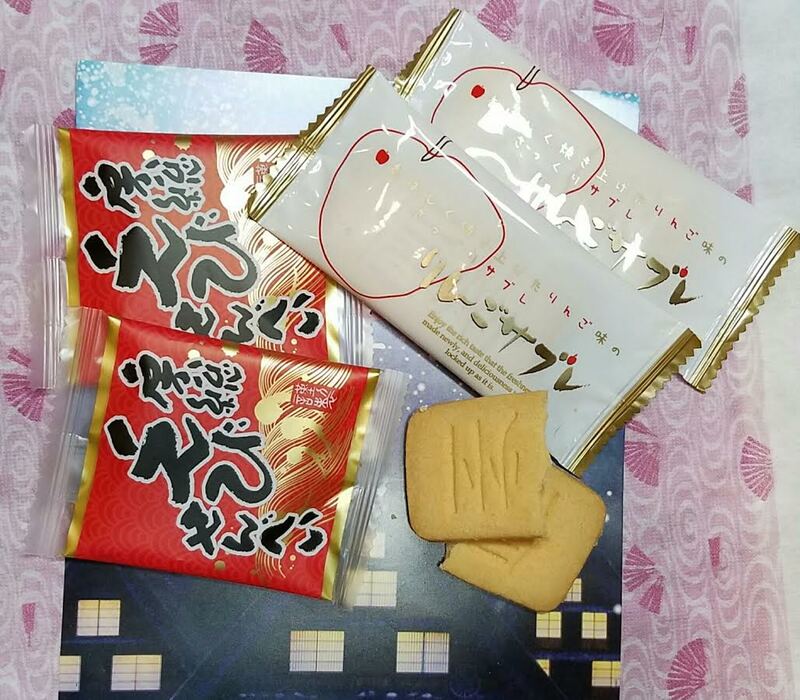 A small snack maker in Gifu has been making these for nearly 100 years. The ginger one was fantastic! 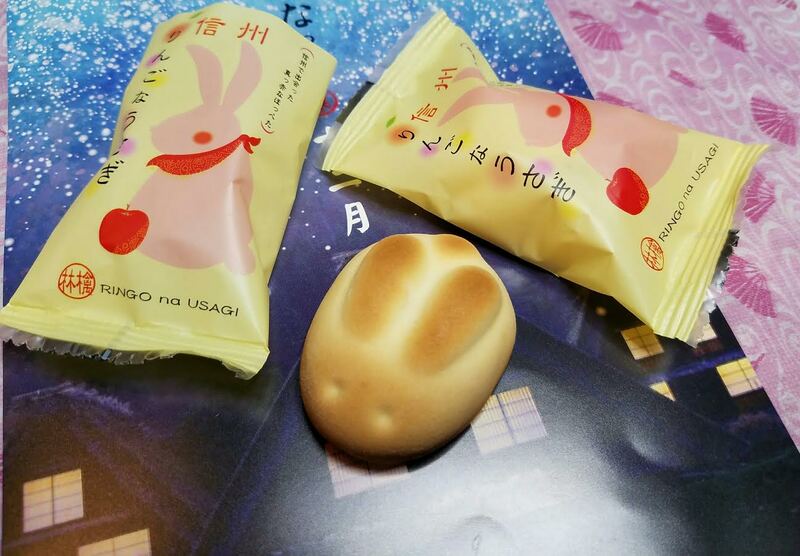 Snow Rabbit Manju- These soft cookies are shaped like bunnies and made wtih apple juice and bean paste. Apple Sable Cookies- Using apples from Nagano, these cookies have a perfect crunch and delicate apple flavor. My favorite thing in the box! 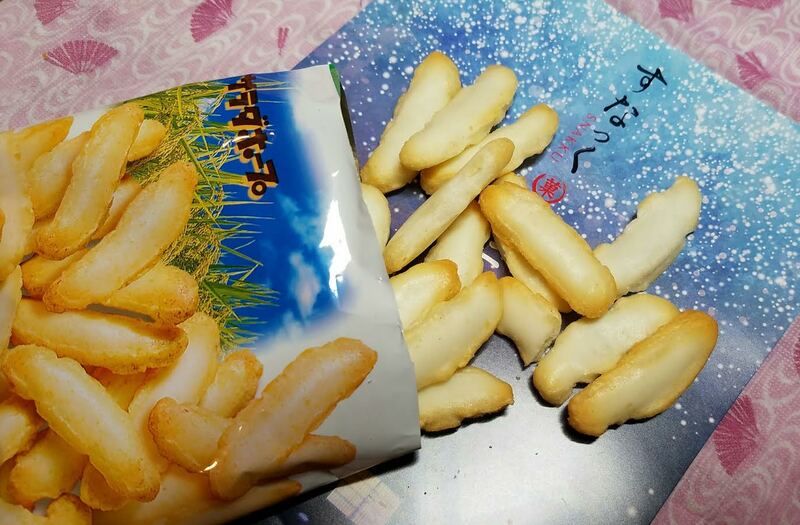 Salad Hope- Lightly salted, crispy rice crackers. Yum! Very addicting if you like rice crackers. I do! Alfort- Butter cookies with chocolate. 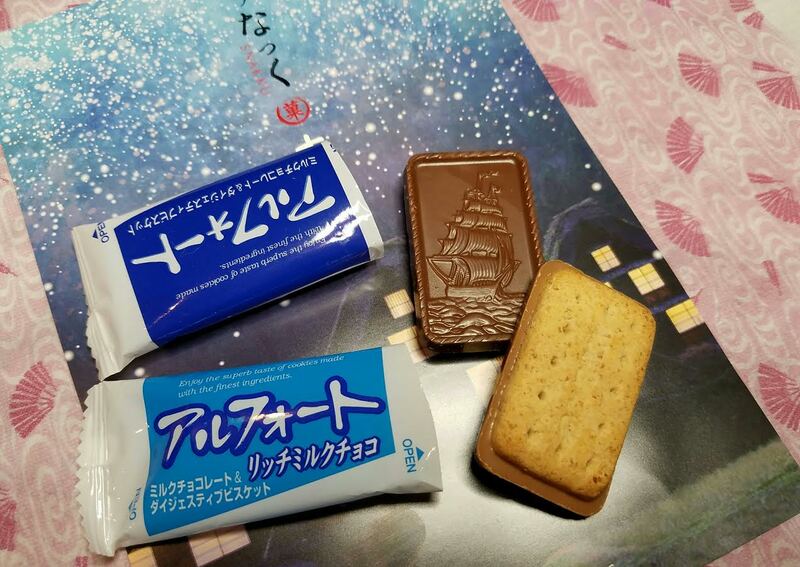 An English biscuit made Japanese style. VERDICT: I have to admit that I was a little put off because the contents smelled like cigarette smoke. The outside wrapping and box were fine but once I opened it up... Smoking seems to be very prevalent in Japan and since this box arrived from there, that might have something to do with it. This box was sent to me for review and if I was to subscribe, I think I would choose the smaller snack box. 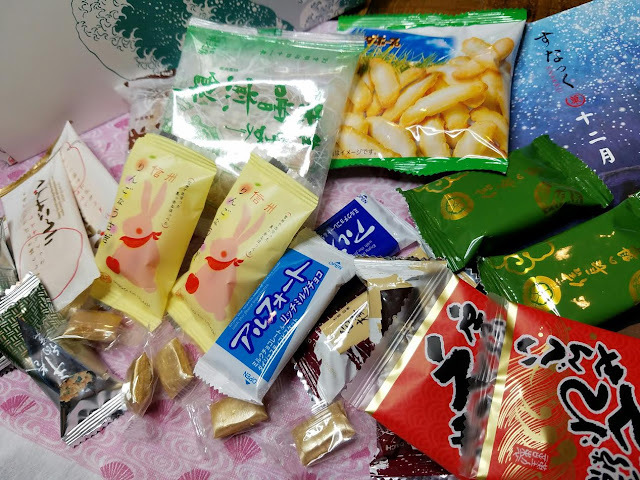 I realize that these are hard to find snacks but I would find it hard to justify paying almost $2 per single snack (excluding the handful of small candies). It may be more apparent with this box because everything seems small. It *would* be worth it to send something like this to my friend who hasn't been back to Japan to see her family in nearly five years, though. She would probably love seeing familiar snacks. But for me? Not really. 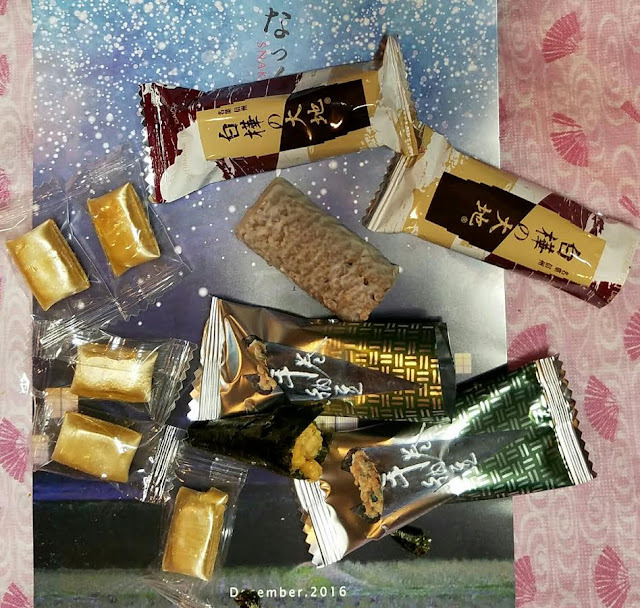 Even though I love the packaging, the presentation is perfection and the snacks are varied, I can't justify it for myself. The smaller Tasting Box would be more my thing. If you would like to sign up for Snakku, you can do that here. Use code bitsandboxes to get 5% off your first box. What do you think of Snakku? Did you subscribe? *this box was sent complimentary for review review purposes. all opinions are mine.